a murder that happens during the taping of a reality competition show; the death of a young man who was pushed off the top of a parking structure and several other fascinating cases. 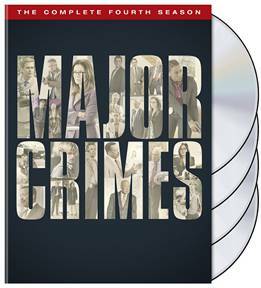 As season four unfolds, Captain Sharon Raydor’s adopted son, Rusty Beck (Graham Patrick Martin, The Closer, Two and a Half Men), finds a passion that drives him, investigative journalism, as he works to uncover the identity of a murdered runaway. It’s an exciting season filled with captivating cases and engaging stories about the lives of the officers and prosecutors whose job is to deal with LA’s most high profile and sensitive crimes.